Ponemon Institute surveyed 538 IT security practitioners who are responsible for the security of their companies’ websites. 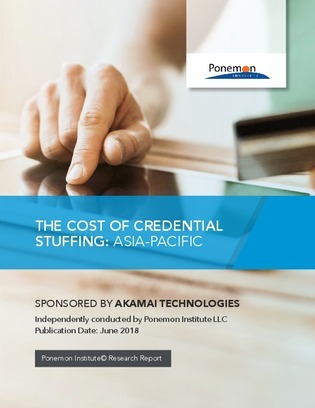 According to respondents, credential stuffing attacks cause costly application downtime, loss of customers and involvement of IT security that can result in an average cost of $1.2 million, $1.5 million and $1.1 million annually, respectively. Download this research report to learn more about the potential cost to prevent, detect and remediate credential stuffing attacks, as well as the financial consequences to companies if attackers are able to use stolen credentials.